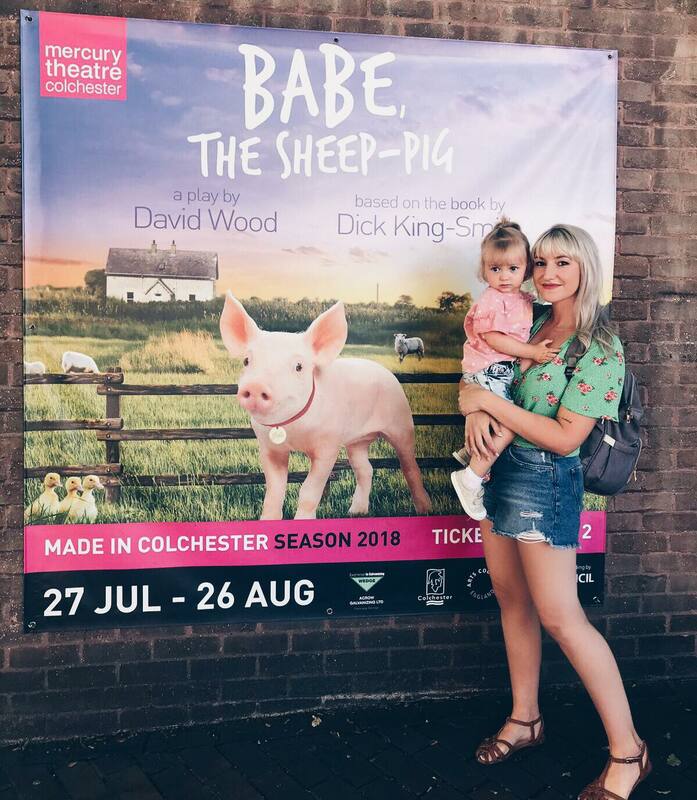 On Thursday we was very fortunate to be invited to this years summer family show Babe, the Sheep Pig at The Mercury Theatre in Colchester. I was instantly excited, and then a little nervous. 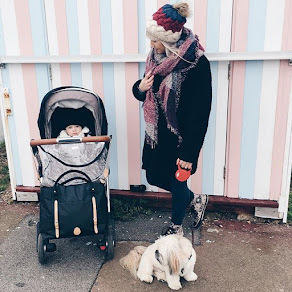 You are promised 90 minutes of fun although trying to keep a 22 month old toddler still for that long is nothing short of a miracle... well they do say miracles happen! 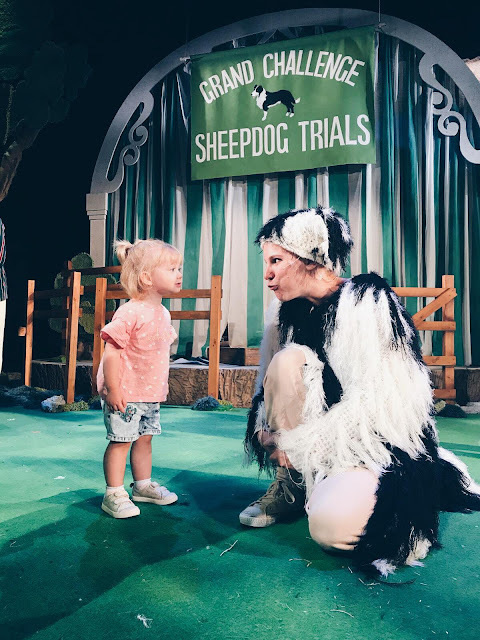 From the very first 'Baaaa' the whole audience was hooked, in fact for an auditorium of mostly very young children I think you would have been able to hear a pin drop in the stalls up until the interval. I instantly warmed to Jessica Dyas, Fly the sheep dog. 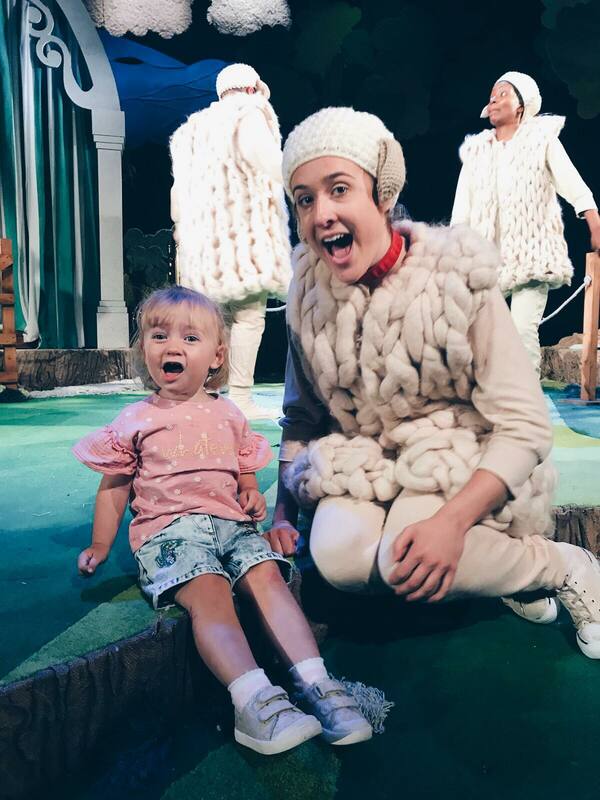 Jessica narrated the play, she played the part wonderfully as warm and reassuring a pleasure to get to know, the perfect mum figure. The show was lively and energetic throughout, moving on quickly from one scene to the next as to not loose the attention of the young audience. Although it is clear that this show is aimed at children I would say it is just as enjoyable for their adult chaperons, with lots of humor. The cast is relatively small, and both myself and my friend commented on the unbelievably quick costume changes (as someone who attended stage school from the age of two I can vouch that this is not a task to be scoffed at) these fabulous actors even played instruments live on stage which was very impressive indeed. Jonathan Cobb acted as puppeteer for Babe, at first I thought this would be distracting and confusing for the children as the rest of the animals are played by actors but he did such a great job you really didn't end up looking at him at all, which sounds a little bit mean, but I think that was the aim! Lylie was amazed for the entire first half, I had snacks at the ready and hardly needed them at all. At the end of the first half there was a sad scene with one of the sheep meeting a fate which can be common in live stock this could be scary for some smaller or particularly sensitive children and although Lylie did fidget as she sensed the tension in the room, as children often do, the part which really scared her was the complete black out at the end of the first half. Although the lights did come up relatively quickly this did bother her for the rest of the show, we had lots of 'oh no, the lights have gone' 'come back lights' There is a short nightmare scene during the second half which she found a bit upsetting although as it was dark I think she was actually more worried about the lights potentially going out again rather than what was actually happening on stage. 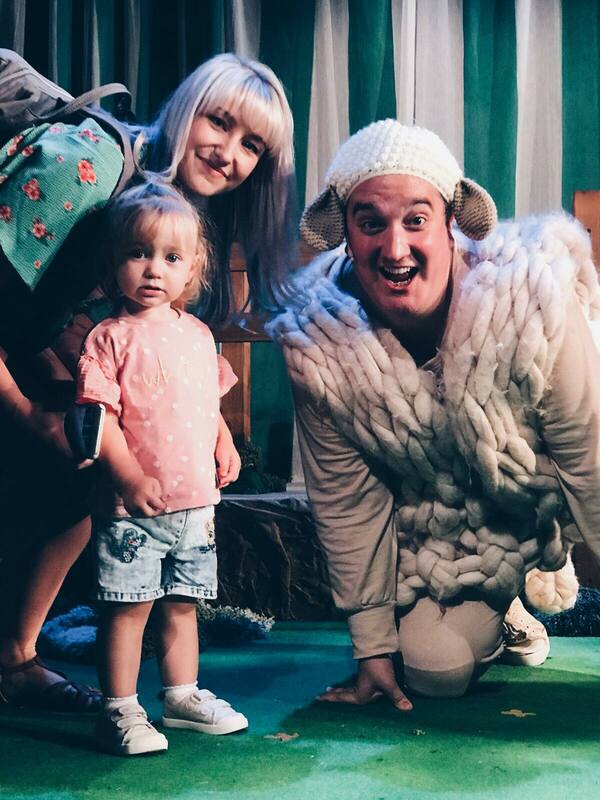 At the end of the show all of the children were invited onto the farm to meet the characters, which was a wonderful opportunity and something both Lylie and I enjoyed. The cast were only to happy to make animal noises for the children and give out high five's. Lylie was the last kid on stage and I think she would have happily stayed up there with the actor's if I had let her. Mercury Theater itself was wonderful, very clean and beautifully kept and right in the heart of Colchester town center the perfect location to grab a bite to eat before or after the show and really make a day of it. 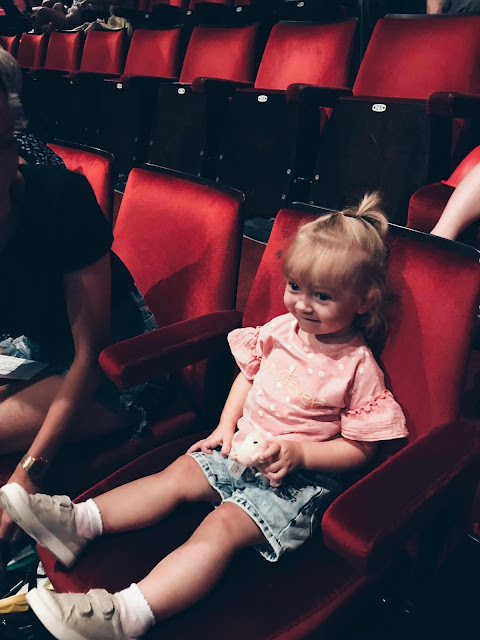 I also noticed the theatre had booster seats available so if you are worried about where you will be seated and little ones view being obstructed this is something to make note of before being seated. If you are on the look out for Summer Holiday fun, Babe, the Sheep pig is being shown until the 26th August and you can get your tickets HERE . Although there was two very short 'scarier' parts I would absolutely recommend this show for your little one's first trip to the theatre. Lylie has been telling everyone about the piggy all weekend.